Configuration: You should have GPRS/EDGE enabled on your connection (SIM) and make sure GPRS settings are properly installed as a default.Also your data cable or bluetooth drivers are installed in your PC. 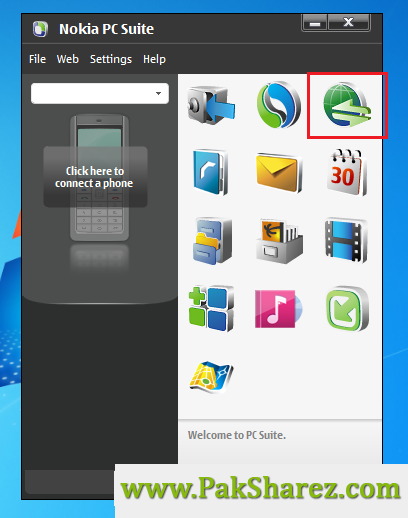 1 – Launch Nokia PC Suite and Click on Connection icon in the first row. 2 – Now click on Settings (wrench) button. Type in the fields according to your desire and click Next. 6 – Now click on Connect to establish GPRS connection. 7 – After successful connection it will display you Connected message.